Academics are as much followers of fashion as any lover of Dior or Calvin Klein. Sure, it might not be the latest fragrances or the newest haute couture but research tends to be concentrated around a few themes. In Interpreting Studies, the 70s and 80s were the age of cognitive research, mostly related on conference interpreting. Psychologists flocked to the discipline and those interpreters brave enough to row out into the deep water of academia were happy enough to follow them. In those days, we learned about ear-voice-span, modelling, and error triggers. The foundations would be set for the creation of the effort models by Daniel Gile in the 1990s, models which are still used today, even if there is still debate about their accuracy. In the 90s, Interpreting Studies suddenly found itself moving away from conference interpreting towards practices that, depending on your particular cultural bent are variously called “community interpreting” or “public service interpreting”. Barring the semantic debate on whether court interpreting is a different kind of thing altogether, these terms roughly mean “anything that isn’t business or conference interpreting”. Largely, the growth of research in PSI (as I will call it for speed) continues unabated, which is no bad thing. Through research in PSI we have learned that interpreters are social beings, that their work is affected by many more factors than our previous lists of error triggers would have suggested and that the idea that interpreters can and should be all but invisible and default to doing nothing when faced with ethical decisions is a load of nonsense. What is becoming increasingly obvious is that the separation of Interpreting Studies into silos – PSI people here, sign language people there, conference people wondering what is going on over there, cognitivists trying to shovel everyone into labs in the corner – is actually damaging to the field and to practice. While we can’t always say empirically that findings from sign language interpreting apply directly to conference interpreting or court interpreting, we can at least argue that people in other areas of interpreting should be paying attention. We might actually want to suggest that the next logical step of most research is to try answering the same questions in a different setting. But instead of better collaboration, silo thinking is entering even into the realm of industry conferences. The first call for papers of the FIT conference in 2017 included tracks for sign language interpreting and community interpreting only, wiping out any chance for experts in other areas of interpreting to contribute, at least initially. Yes, yes, conferences have to set themes and have to limit participation somehow but does dividing contributions along the lines of different interpreting settings (and even languages) actually make any sense? Does it not simply reproduce in the conference hall the same divisions and inability to communicate with each other that already dogs our profession? Can’t we do better? To cite Bob the Builder and President Barack Obama, “yes we can”. What if we had conference themes that dealt with our shared concerns, such as PR, client relationships, safety, and professional status instead of on PSI, conference interpreting and the like? What if researchers worked across sub-disciplinary boundaries to examine whether PSIs use different cognitive strategies than business interpreters or whether some of the work on performance in church interpreting might equally apply to conference interpreting? It doesn’t take too much imagination to think of ways of breaking out of our current silos and working together. The next big idea for conference interpreting might well come from sign language interpreting. Court interpreters might learn PR and self-presentation ideas from mental health interpreters. Let’s interpret and research together and end our self-imposed divisions. It’s exactly what interpreting needs. Greater Manchester Police staged a mock attack featuring a suicide bomber late on the night of Monday May 9. It began at the Trafford Centre shopping complex when a man in black walked into the centre of the main foyer and shouted “Allahu Akbar” – “God is great” – several times at the crowd. Moments later, an explosion rocked the food hall. The 800 volunteers dropped to the floor or ran into cafes and shops screaming for help, many of them made up to look as if they had horrific injuries. The reaction has been largely negative, with many making the point that using the words “Allahu Akbar” reinforced the stereotype that terrorists are primarily Muslim. They rightly said that in reality, anyone can be a terrorist. By enforcing the Muslim stereotype, the exercise divided rather than united people and could increase anti-Muslim hate crime. The police force was quick to put up a senior officer to respond. Stressing that “Allahu Akbar” was not scripted, he called the phrase “unacceptable” and apologised on behalf of the force since it “vocally linked this exercise with Islam”. End of story? Actually an important point has been overlooked. The commentary has focused on the fact that the attack associated Islam and terrorism, but something else was associated with terrorism, too – the Arabic language. Spoken by an estimated 422m people, it is one of the most common languages in the world. Have we become so used to associating politics with particular languages that the matter is not considered exceptional or worthy of discussion? This issue goes much wider than Arabic. Staying with the UK, other languages are associated with political ideologies, too. I worked in Northern Ireland for 11 years and could not fail to notice the political stereotypes around the Irish language. 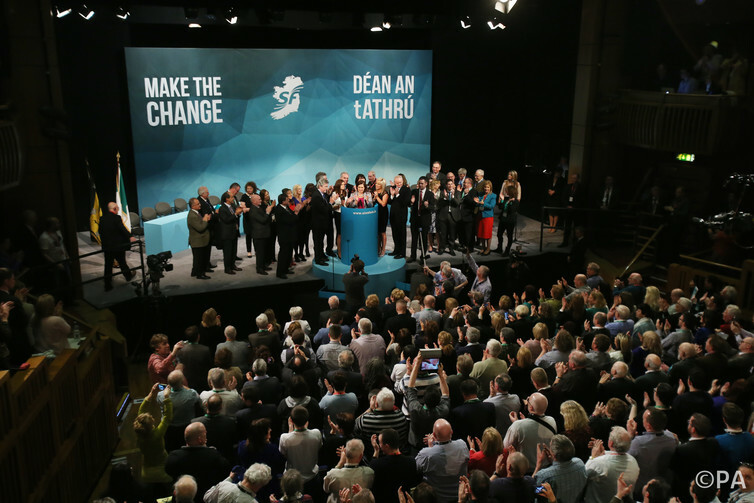 I worried that my beautiful Irish language name would generate the perception that my intentions were political – although friends assured me that given I was from the South, the issue did not arise. Since the days of the hunger striker Bobby Sands, who taught himself and other fellow prisoners Irish in the H-Blocks, Sinn Féin has often been accused of politicising Irish. Linking Irish with political intent makes it uncomfortable for some people without nationalist aspirations to speak it in public. Last year, for instance, the Belfast Telegraph columnist Claire Harrison wrote that she stopped her university course in Irish partly because of “a growing discomfort with a general assumption that I was a raving republican”. The perception that Irish is political has been greatly enhanced by politicians from non-nationalist parties seizing the opportunity to score a point at the expense of the Irish culture. Linda Ervine, a prominent unionist Irish-language speaker, last year accused Nelson McCausland of the unionist DUP of politicising the Irish language in exactly the same manner he claims republicans are guilty of. It’s not as if it has to be this way. Many of my friends in Northern Ireland who speak Irish on a regular basis do not associate it with politics and are motivated only by a love of Irish culture. Over the Irish Sea in Scotland, we are seeing signs of something similar. In my recent TEDx talk on living heritage I noted that Scots has gained a new visibility and credibility as the culture has become more self-confident in the wake of the 2014 independence referendum. Pro-independence daily The National now features a weekly column in Scots, for instance. Yet the emergence of Scots cannot escape the political undertones. As the culture scholar Scott Hames wrote a few months ago, the “question of Scots is now becoming hyper-politicised in crude and distorting ways”. He argued that “national identity is undoubtedly part of the picture; but it needn’t be the whole picture”. Many of us have heard the slogan that “a language is a dialect with an army and a navy”. Languages now considered “neutral” or “official” have often gained their visibility and credibility with the support of political structures – a fact often forgotten at the beginning of the 21st century. So how to respond? The Irish-language activist Aodán Mac Poilín has suggested that, rather than attempting to depoliticise languages and break their link with specific communities, we should think about making them appropriate for many communities and in many spheres – multi-politicising them, if you will. With this in mind, it is good to read about the latest Arabic initiative in London, in which “Subhan Allah” (or “Glory be to God”) is appearing on posters on the sides of the red buses. This initiative by Islamic Relief is designed to change the negativity about Islam and foster understanding between different communities. 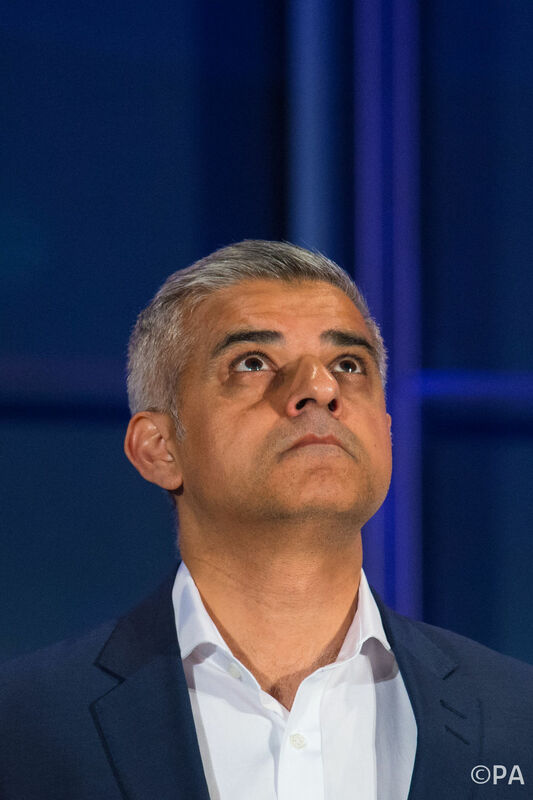 A few days ago, London elected its first Muslim mayor, Sadiq Khan. The most recent winner of the Great British Bake Off was the Muslim Nadiya Hussain. With more events like these and fewer ill-conceived terror drills and such like, it raises the possibility of multi-politicising Arabic. Perhaps there will come a time when we don’t immediately think of terrorism when we hear the word “Allah”. Perhaps we might think instead about justice, human rights and good food. RADAR – Regulating AntiDiscrimination and AntiRacism (Fundamental Rights and Citizenship Programme JUST/2013/FRAC/AG/6271) is an EU-funded programme that brings together nine partners from six countries. The project’s aim is to raise awareness and develop the necessary tools to identify and tackle hate-motivated and hate-producing communication, which have a racialised dimension. This will be achieved through training activities and events. The project will also provide a handbook as well as comparative studies and analyses. For more information on the project’s objectives, deliverables and individual work packages, please visit the project website and register on our platform. RADAR workshops are being organised in the six partner countries (Italy, Finland, The Netherlands, Poland, Greece and the UK) from April to June 2016 to test the training material developed as well as the training approach. An international workshop will then be held in September in Perugia, Italy, drawing on the knowledge and expertise gained from the local pilot events. trainers interested in participating in the trial / pilot implementation of the proposed training approach and have open access and reusability of the available material. people who have experienced racism or xenophobia and are interested in sharing their experiences and leading discussions. What are the workshop aims? Understand hate-motivated and hate-producing communication practices. Such an understanding can be empowering for (potential) targets of discrimination or hate communication. It can also help professionals to make better judgments, react effectively to racist and xenophobic behaviours and attitudes and ultimately help to prevent racism, xenophobia, discrimination and exclusion. Recognise explicit as well as implicit forms of prejudice, racism and xenophobia, as well as the situations from which they might arise. Develop skills to produce non-biased and inclusive communication. Develop competence in communicating with people with culturally (and socially) different habits and behaviour models. Distinguish between verbal, paraverbal, nonverbal and visual messages, how they are combined and embodied in communicative practices. Become familiar with communicative techniques, strategies and procedures that apply to different situations and contexts. In this way, participants may acquire useful tools for identifying and preventing hate-producing and hate-motivated communication practices and, ultimately, hate crimes. Participants should also be able to transfer the approach, either by putting it into practice in other contexts or, in the case of trainers, by training others. What is the workshop content? (2) communication practices reflecting and (re)producing racism, xenophobia, discrimination, exclusion. We consider the following communicative practices among others: advertisement pictures, promotional and other videos, talkshows, written texts, in particular newspaper articles, and social media posts. There will be discussion groups, round tables and activities to reflect on these communication practices, share experiences and recommendations. The full workshop programme will be provided following registration. Heriot-Watt is located on the outskirts of Edinburgh city centre and is easily accessible by bus and train. Further travel information as well as the full workshop programme will be provided following registration. When it comes to opportunities to improve their skills, interpreters are spoilt for choice, right? We can work on simultaneous, consecutive, note-taking, er, hold on, that’s about it. Traditionally, and understandably, we tend to stop at skills training. Skills training is good but it is becoming increasingly obvious that we need much more than good note-taking or control of synonyms. Interpreters of all stripes need to know how to sell their services, plan their career, present the right image and much more. In fact, unless you have a nice staff job, your work away from an assignment is as important as your work during it. If your interpreting skills are poor, you won’t get more work. If your business, personal and planning skills are poor, you won’t get any work at all! And then there is the whole question of burnout. How can we survive the ritual of research, travel, invoicing, admin, that comes inevitably with the job of being an interpreter, let alone the need to keep our family and friend relationships healthy? Those are the kinds of questions that have been constantly in my mind as I spent 5 years of my life getting a PhD in expectations of interpreters. While my own research focus was on one small area, I have had the privilege of meeting and learning from experts in a wide variety of areas. From deliberate practice to perceptions of interpreters, from nutrition to decision-making, it has been an exciting and sometimes troubling ride. Most of the results of that work were poured into my upcoming book: Being a Successful Interpreter: Adding Value and Delivering Excellence. Surprisingly, it turned out that the majority of the experts I was meeting were basically saying the same thing: successful interpreters add value to their clients, to their profession, and to themselves. And this was the true whether I interviewed experienced professionals like Esther Navarro-Hall and Judy & Dagmar Jenner or leading researchers like Prof Ebru Diriker and Dr Elisabet Tiselius. Books are great, especially when they come with guides as to how to apply what you are learning. Their only disadvantage is that they are devoured alone. Imagine what it would be like if we could take the material from the book: the strong messages on adding value, the challenges to develop our skills strategically, and yes, all the lessons I learned from wiser people than me; but could discuss, dissect and apply them in a room together. I thought that might be a good idea and, thankfully, a few people from Heriot-Watt University thought so too. So, on June 2nd, we will have the inaugural Being a Successful Interpreter course. This is a one-day interactive event that will being interpreters of all kinds together in one room, to learn together how we can build sustainable careers that suit our own skills and lifestyles, better understand the thought-processes of our clients, develop our skills strategically and build supportive communities. Why bother being in the same room? Why not just do a set of webinars? Well, for one, I have stopped believing that the traditional “I talk; you listen” mode of teaching actually works. Instead, the emphasis will be on learning and discussing together. There will be places where we look in detail at specific ideas from the book but we will mostly spend time discussing together how to apply them. There will even be space to sit and reflect on your own work, your own trajectory and your own decisions. The emphasis will be in applying what researchers, experts and leaders have been saying and doing so in a way that makes sense to each of us. There are two tiny catches. Tickets are limited. There is only space for 20 people in the room. And tickets are only on sale until 20th May. So, if you are looking to give your career a boost, plan for the future, or adjust to the ongoing changes in our profession, this is your chance. See you on the 2nd! Just in case you missed it, you can get more info and buy tickets by clicking the name of the course at the end of this sentence: Being a Successful Interpreter.